Skills learned: this class focuses on flyer technique for proper and safe body positions. How to properly stretch and progress flying skills focusing on air-awareness with safe progressions. Flyers will also be taught how to make their performance and choreography translate into good technique scores on the score sheet. Drills based class. Performance based. Skill examples: proper execution of flyer body positions: heel stretch, front stretch, bow & arrow, free stretch, arabesque, scorpion, scale, choreography in the air, stunt skill transitions. Skills learned: developing proper strength in core, upper and lower body. Drills for flexibility in shoulders, upper and lower back and lower body. Learn great technique in jump skills, tumbling and flying skills. Skills examples: Stretching drills: dynamic, passive, static, isometric. Progressions on strength training drills targeting all areas of the body for safe skills in cheerleading. Jump drills for: Toe Touch, Hurdler, Pike, and timing and connecting drills. This is a parent-and-child interactive class where toddlers will be introduced to the world of tumbling with the support of a familiar face being in the gym with them. Skills learned: behavioral skills like waiting in line, taking turns, sharing, and following instructions. Basic gymnastics shapes and positions. Skill examples: log rolls, forward rolls, backward rolls on wedge, intro to cartwheels, and straight jumps, tuck jumps, and straddle jumps on tumbltrack. Skill examples: “L” stand, handstand, spider-man handstand, plank hold, hollow hold, other tumbling stances, straight jumps, tuck jumps, lateral jumps, forward rolls, backward rolls, log rolls, seat roll, bridge on elevated surface, intro to cartwheel, bounding and rebounding on soft surfaces. Prerequisite: Graduate from Tiny Treasures or coach’s evaluation. Skills learned: this class focuses on developing proper fundamental, motor, stability skills, hand-eye coordination, lower and upper body strength, overall flexibility, especially in the shoulders. Skill Examples: “L” stand handstand, forward and backward roll, handstand forward roll, proper rebounding & punching into and out of skills, cartwheel, cartwheel-step together, cartwheel from knee, round-off rebound, back bend to bridge on wedge, intro to kicking over, handstand to bridge on wedge, and straight, tuck, and lateral jumps. Skills learned: this class focuses on continuing to build a proper fundamental of basics, strength, and flexibility, hand-eye coordination, proper bounding and rebounding. Skill Examples: intermediate to advanced cartwheel combinations, back bend kick over, back walkover, handstand kick over, front walkover, dive roll, back extension roll, running and standing Level 1 tumbling passes, round-off rebound, intro to jump drills and back handsprings, handstand forward roll, handstand arch. Skills learned: the continuation of proper basics, core strength, and overall flexibility. Introduction of the connection of bounding and jumping tumbling skills in running or standing tumbling. Connecting proper Level 1 tumbling to back handspring skills. 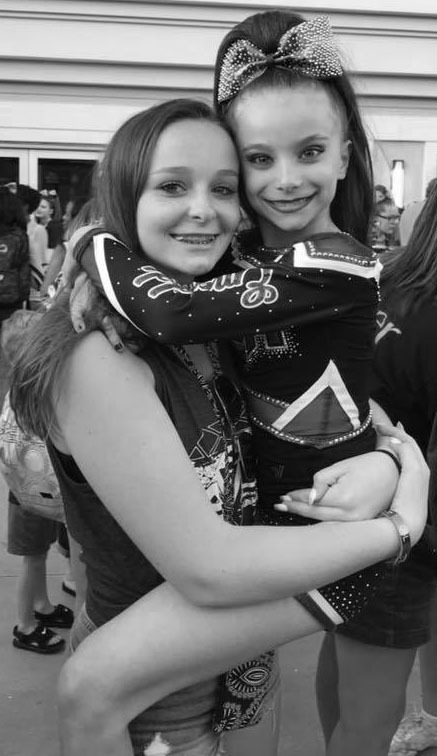 Skill Examples: standing and round-off back handspring with rebound, no swing back handspring, back walkover back handspring connections, back handspring step out variety, intro to front handsprings, intro to drills for multiple back handspring connections. Prerequisites: strong round-off rebound, standing back handspring rebound or coach’s evaluation. Skills learned: developing proper connections, form and technique in running and standing tumbling back handsprings. Introduction into jump/tumbling combinations. Continuation of proper flex and overall strength for higher level tumbling and airborne front tumbling. Skill Examples: standing and round-off 3 back handsprings to rebound, toe touch back handspring combinations (any jump into back handspring), back walkover back handspring, front walkover round-off 3 back handsprings to rebound, back handspring step-out, round-off back handspring combinations, intro into punch fronts drills and skills, intro into proper body shapes for tuck skills. This class can be taken concurrently with Set in Stone and Shimmer & Shine. Skills learned: intro into no-handed flipping tumble skills. Continued progression of proper form and technique in running and standing tumbling skills for elite tumbling. Skill examples: round-off back handspring tuck, round-off tuck, punch front, punch front step out, back handspring or multiple back handspring to tuck, jump back handspring combo to tuck, intro into drills for standing tuck, intro into drills for proper body shapes in layout. This class can be taken concurrently with Select Gems, Shimmer & Shine and Dazzling Gems. Prerequisites: round-off multiple back handsprings, standing multiple back handsprings or coach’s evaluation. Skills learned: developing proper technique and form in front tumbling. Skill examples: front handsprings, side aerial, front aerial, front tuck, front tuck step out. This class can be taken concurrently with Select Gems, Set in Stone and Dazzling Gems. Skill Examples: standing tuck, jumps to tuck, back handspring combo to tuck, toe touch jump back handspring combo to tuck, punch fronts, strength and conditioning drills for perfection in technique in elite standing tumbling. This class can be taken concurrently with Shimmer & Shine and Set in Stone. Prerequisite: round-off back handspring tuck, standing tuck (working on it), back handspring combo to tuck, round-off tuck or coach’s evaluation. Skills learned: proper technique, form, body shapes and launch angles for hollow body tumbling skills. Intro into arched back body position tumbling skills. Skill examples: round-off back handspring layout, multiple back handspring layout, any front tumbling combo to round-off back handspring layout, jump back handspring combo to layout, punch front round-off back handspring tuck, intro into proper drills for body shapes for whip skills and technique. ** To work on double fulls, athlete must have round-off back handspring full mastered on tumbltrak, rod floor and spring floor. Skills learned: intro to elite twisting tumbling skills. Learning proper safe progressions for other elite tricks and connections for running and standing tumbling. Skill examples: round-off back handspring full, standing back handspring combo to full, round-off whip back handspring combo to full, punch front round-off back handspring full, round-off back handspring double full, standing back handspring combo to double full. Skills learned: proper and safe progressions in elite level tumbling skills and connections for running tumbling and standing tumbling. Skill examples: standing full, jumps to standing full, round-off Arabian connections, whip to immediate twisting skills, front twisting/front handspring-punch front, full and a half step out/front full and a half step out, any elite level combination for standing or running tumbling, elite skill maintenance.